It was early December when the Central Intelligence Agency began to suspect it had suffered what it regarded as an embarrassing computer breach. Investigators for the Senate Intelligence Committee, working in the basement of a C.I.A. facility in Northern Virginia, had obtained an internal agency review summarizing thousands of documents related to the agency’s detention and interrogation program. Parts of the C.I.A. report cast a particularly harsh light on the program, the same program the agency was in the midst of defending in a prolonged dispute with the intelligence committee, writes nytimes.com. What the C.I.A. did next opened a new and even more rancorous chapter in the struggle over how the history of the interrogation program will be written. Agency officials began scouring the digital logs of the computer network used by the Senate staff members to try to learn how and where they got the report. Their search not only raised constitutional questions about the propriety of an intelligence agency investigating its congressional overseers, but has also resulted in two parallel inquiries by the Justice Department — one into the C.I.A. and one into the committee. 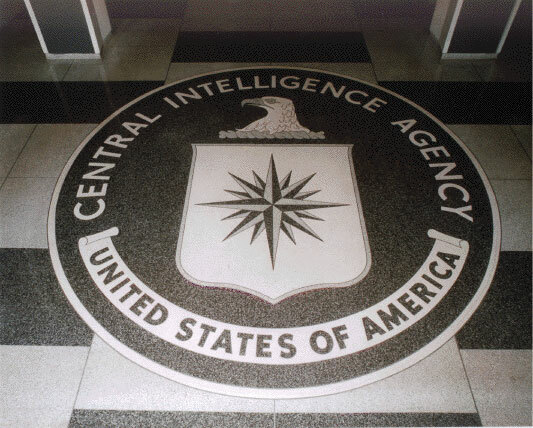 At the center of the dispute is the classified internal C.I.A. review of the detention and interrogation program, a review that Democratic senators believe buttresses the conclusion in the intelligence committee’s 6,300-page report that the program yielded little valuable intelligence. The story of how the internal review became the focal point of an escalating fight is based on interviews with more than a dozen current and former government officials on both sides of the battle. Most of them declined to be identified because of the continuing investigations. The effort to write the exhaustive history of the C.I.A.’s detention operations was fraught from the beginning. President Obama officially ended the program — which began in the months after the Sept. 11 attacks and expanded into a network of secret prisons in Thailand, Romania, Lithuania and elsewhere — during his first week in office, in 2009. The intelligence committee announced its intention to take a hard look at the program, but there was little appetite inside the White House to accede to the committee’s request for all classified C.I.A. cables related to it. "The view in the White House was that this would cross a fairly significant threshold in terms of providing information to the committee,” recalled a former senior American official involved in the debate. But a deal was struck between Leon E. Panetta, the director of the C.I.A., and Senator Dianne Feinstein of California, the intelligence committee’s Democratic chairwoman, to make millions of documents available to the committee at a C.I.A. facility near the agency’s headquarters in Langley, Va. The documents covered roughly five years: from the inception of the program until September 2006, when all of the C.I.A.’s prisoners were transferred to the American military prison at Guantánamo Bay, Cuba. At the same time, Mr. Panetta ordered the C.I.A. to conduct its own review of the documents, a move designed to help the agency better understand the volumes of the material it had agreed to hand over to its congressional overseers. This review, a series of memos that in recent days has come to be called the "Panetta Review,” is the internal study now at the center of the dispute between the C.I.A. and Congress. "This was not designed to be an analysis or rebuttal or alternative report. It was designed to merely keep track of, and provide short summaries of the documents that were being provided to the committee,” said Jeremy Bash, who was Mr. Panetta’s chief of staff at the C.I.A. Some people who have read the review memos said that parts of them were particularly scorching in their analysis of extreme interrogation methods like waterboarding, which the memos described as providing little intelligence of any value. The committee investigators set to work, spending hours each day in the windowless basement of a nondescript building that advertised itself as a C.I.A. office by the cluster of marked C.I.A. police cars guarding the front. The room designated for the staff, called the "electronic reading room,” was a spartan office with tables and computers set against the walls and a large conference table in the middle. Early in the investigation, thousands of files were loaded into the database, and the committee staff members pored over the material. According to a recent court filing in a Freedom of Information Act lawsuit, the C.I.A. created a "network share drive” segregated from the main agency network, a provision intended to allow the committee to work in private. By the end of 2012, after more than three years of work, the committee staff had finished its report and submitted it to the C.I.A. for an official response, setting off months of closed-door sparring between the two sides. John O. Brennan took over as director of the C.I.A. in early 2013. Unlike Mr. Panetta and his successor, David H. Petraeus, Mr. Brennan was a veteran of the agency who was serving in its top ranks when the interrogation program began. He had become close to Mr. Obama during the president’s first term, when he served as the top White House counterterrorism official, and came to his new job pledging greater transparency about C.I.A. operations. During his confirmation hearing, Mr. Brennan said that he had read the executive summary of the intelligence committee report, which had led him to question what he had previously thought about the interrogation program. Within months, Mr. Brennan delivered the C.I.A.’s response to the committee, a 122-page document that vigorously disputed facts and conclusions contained in the Senate report. Several officials said that the C.I.A. never intended to give the internal memos to the Senate, partly under the justification that they were draft documents intended for the C.I.A. director and therefore protected under executive privilege authorities. Another justification was that the Panetta Review began in 2009, three years after the agreed upon 2006 end date for the document transfer. But by late last year, Democrats on the committee increased pressure on the C.I.A. to formally hand over the internal review. Senator Feinstein wrote a letter to Mr.
Brennan, and Senator Mark Udall of Colorado disclosed the existence of the review during an open hearing on Dec. 17. By then, C.I.A. officials had come to suspect that committee investigators working at the Virginia facility had seen at least a version of the internal review. Senior officials at the agency ordered a search of several years’ worth of digital audit logs that the C.I.A. uses to monitor its computer systems. In January, the C.I.A. presented the results of its search to the intelligence committee in a tense meeting that ignited the most recent confrontation. The day after the meeting, Senator Feinstein wrote a letter to Mr. Brennan demanding answers for why the C.I.A. carried out the search, which she suggested had violated the constitutional separation of powers and undermined the committee’s oversight role. It was largely these concerns that led the C.I.A.’s inspector general, David B. Buckley, to begin an inquiry into whether the computer search was improper. Mr. Buckley has since referred the case to the Justice Department. But the C.I.A.’s Office of General Counsel has started another inquiry, into whether committee staffers gained unauthorized access to parts of the agency’s computer network they were forbidden to enter, and transferred files to the other side of the firewall. The Justice Department is also reviewing that case. Five years after the intelligence committee began its investigation, neither its report nor the Panetta review has been declassified.